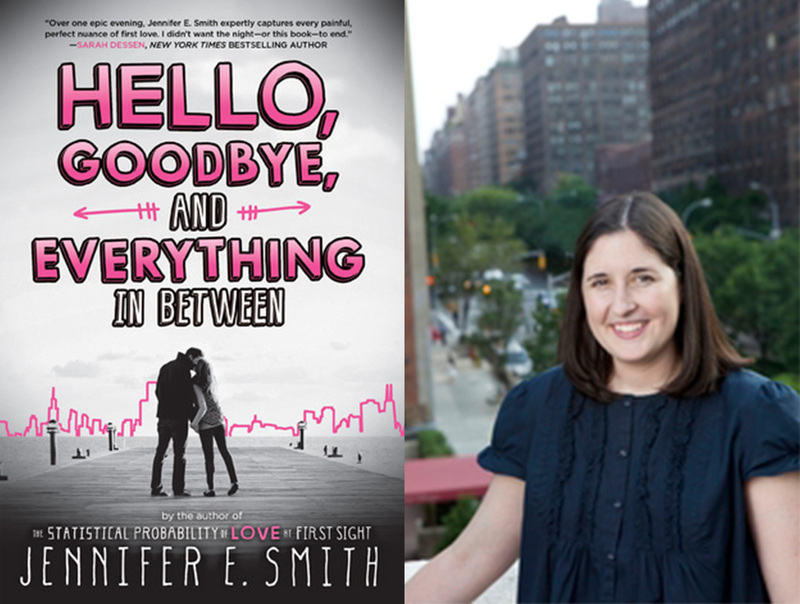 Today I’m sharing a short Q&A with Jennifer E. Smith from a twitter chat that took place last fall. Jennifer is the author of The Geography of You and Me, This Is What Happy Looks Like, The Statistical Probability of Love at First Sight, The Storm Makers, You Are Here, The Comeback Season, and her latest, Hello, Goodbye, and Everything in Between. Jordan: Which YA protagonists (from any series) do you think would get along best with your main characters? J: If you could have any superpower, what would it be? J: What was the last tv show you binge watched? JES: Outlander!! So good! I’m kind of obsessed with Scotland, so it was perfect. Jenny Han got me hooked. J: Any favorite recent reads that you’d recommend? JES: For YA, I loved P.S. I Still Love You and Me and Earl and the Dying Girl. Also, just read The Royal We! JES: They’re the one thing I’m always bragging about, since I had nothing to do with them… The one for HGAIB I love especially. That’s an engagement photo! And my favorite part of all of them is the doodles…the hand-drawn element. This time it’s a skyline! Thanks for answering my questions, Jennifer! If you haven’t yet, be sure to check out Hello, Goodbye, and Everything in Between now!